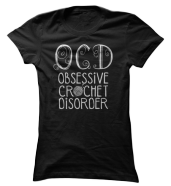 This crochet doll pattern was inspired by one of my facebook friends. 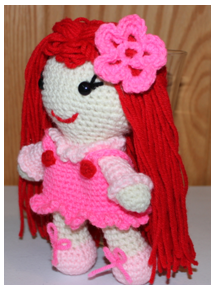 She really wanted me to make a little red headed doll, and so here she is! 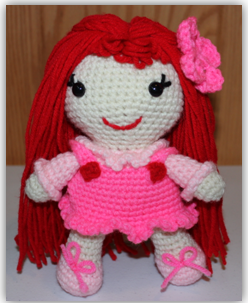 I call this crocheted doll Little Lovely Lucy because her cute red hair reminds me of a little Lucy. 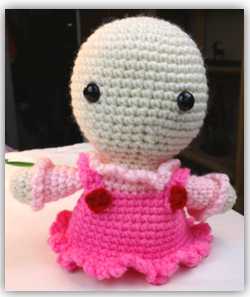 This doll is simple to make and this pattern is designed for a crochet beginner. She is made with medium worsted weight yarn, and I also used child safe eyes. 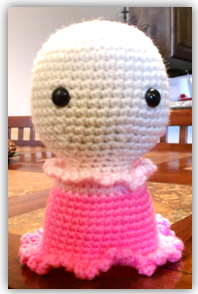 I only used four colors for this doll and she is relatively inexpensive to make. I hope you enjoy this free crochet doll pattern, and I am sure whoever you decide to give her to will enjoy her as well. Rnd 1: 6 sc in first ch (6). Rnd 3: [2 sc in next sc, sc in next sc] 6 times (18). Rnd 4: [2 sc in next sc, sc in next 2 sc] 6 times (24). Rnd 5: [2 sc in next sc, sc in next 3 sc] 6 times (30). Rnd 6: [2 sc in next sc, sc in next 4 sc] 6 times (36). Rnd 7: [2 sc in next sc, sc in next 5 sc] 6 times (42). Rnds 8-16: sc in each sc around. Rnd 17: [Sc2tog, sc in next 5 sc] 6 times (36). Rnd 18: [Sc2tog, sc in next 4 sc] 6 times (30). Rnd 19: Sc in each sc around (30). Apply 12 mm safety eyes between 12th and 13th row, 8 sc apart. Rnd 20: [Sc2tog, sc in next 3 sc] 6 times (24). Rnd 21: [Sc2tog, sc in next 2 sc} 6 times (18). Continue to stuff head as you work. Rnds 22-23: Sc in each sc around. Do not fasten off, Switch to color B (light pink). Rnd 24: With color B, 2 sc in each sc around (36). Rnd 25: [Sc in next sc, ch 2] 36 times (36). Rnd 26: Sc in each sc around, into rnd 24. Rnd 27: sc in each sc around (36). Do not fasten off. Switch to color C (hot pink). Rnd 28: With color C, [2 sc in next sc, sc in next 5 sc] 6 times (42). Rnds 29-39: Sc in each sc around. Rnd 40: Sc in next sc, sc in next sc. Rnd 41: Sc, ch 3, sc in each sc around. With color A (Ivory) ch 3. Arms: Pinch top of the arm together and attach to both sides of the neck. Suspenders: Use 8 in tail and weave in over the arms on both sides of body. Buttons: Weave tail end of buttons into the front part of the suspenders. Legs: Stuff firmly and attach together at the top of both legs. 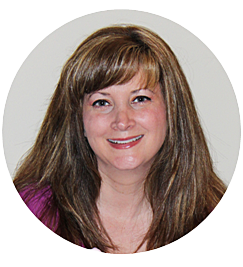 Weave both legs into the neck of doll under the head. 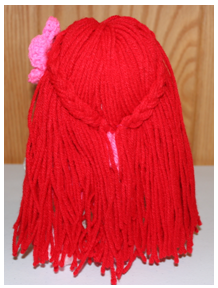 Smile: Use Color D (red) and a yarn needle and weave a smile on the doll’s face. Make 1 big bow in color B (light pink) and attach to braids at the back of the dolls head. 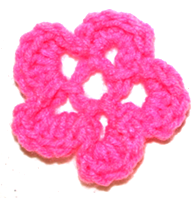 Click on Flower Picture for Pattern! This is the flower I used for the doll's hair. If you want would like the pattern for this flower click on its picture! Copyright: Please feel free to use this finished product for whatever you like, just make sure to give crochetguru.com credit for the pattern. 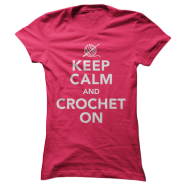 Never claim or publish this crochet doll pattern as your own. 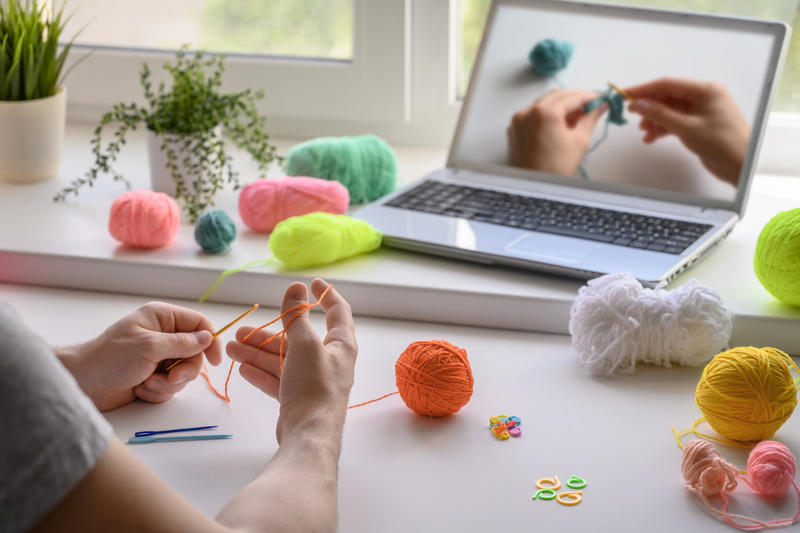 I hope you enjoy this crochet doll pattern, and if you have any questions or comments please feel free to voice your opinion in the new comment box below!